Releasing a new book is a cause for celebration! It is like welcoming your new baby into the world. Aside from executing your marketing plan, here are four critical steps every author should take on Amazon as soon as the book is released. 3. Add tags to your book’s page. Tags can be found about mid-way down the page and are essentially keywords that users would use to find your book. This can improve search results on Amazon as well. 4. Solicit book reviews. 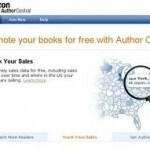 Like it or not, reviews help sell books on Amazon. Ideally you want reviews from real readers–not your great aunt or you mother! The best way to generate reviews is to give away some free copies of your book to colleagues and peers and ask that in exchange, if they like the book, they write a review for you. I’ve also held “Free Book Friday” campaigns via social media where I’ve given away books for the same purpose.